In a major private sector contract Specialist Fleet Services (SFS) have impressed bosses at Biffa with their ‘can-do’ approach in providing a fleet of vehicles for Winchester City Council. 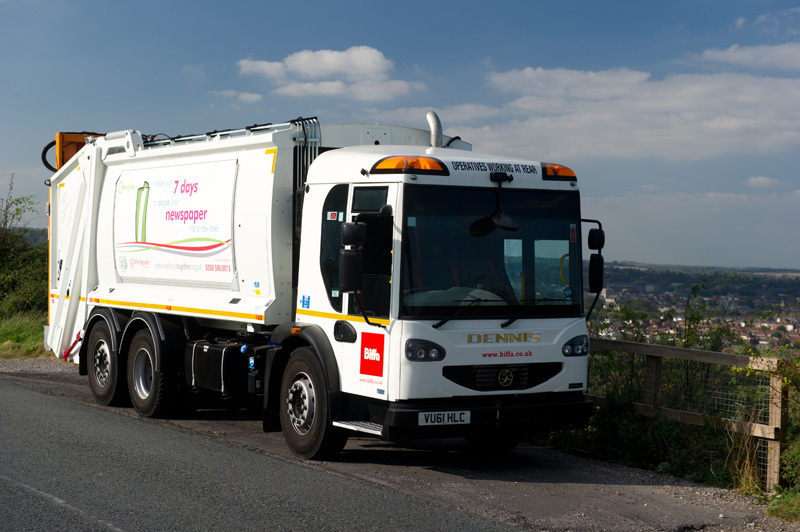 The 5-year contract hire agreement comprises 25 vehicles, which will be used to collect a combination of domestic and trade waste. The fleet consists of: 19 Dennis Olympus 21 wide bodied 6x2 Elite 2 Rear Steer Chassis and 2 x Olympus 13 wide bodied on 6x2 Elite Chassis, all with Zöller compact low level lifts; 2 x Terberg top loaders 28 cu.m on Dennis Eagle Elite 6x2 mid-lift chassis; plus 1 x Mitsubishi Canter Tipper and 1 x Mercedes Atego 10 tonne. BIFFA won the £32 million 8 year contact to take over refuse and recycling collections across Winchester and East Hampshire in October and they have been rolling out a new integrated cross-border waste and recycling collection service. Municipal vehicle and contract hire specialists, Northampton-based Specialist Fleet Services Ltd (SFS) offer a range of financial and operational solutions for the provision of vehicle fleets to both the Public and Private Sectors. The company has extensive experience in providing fleet management services, including the operation of workshops supported by a nationwide network of mobile engineers, the TUPE transfer of customers’ workshop staff and in ensuring the highest standards of health and safety are maintained.